The Blue Tigers suffered a heatbreaking 0-1 loss in Sharjah to finish bottom of Group A. 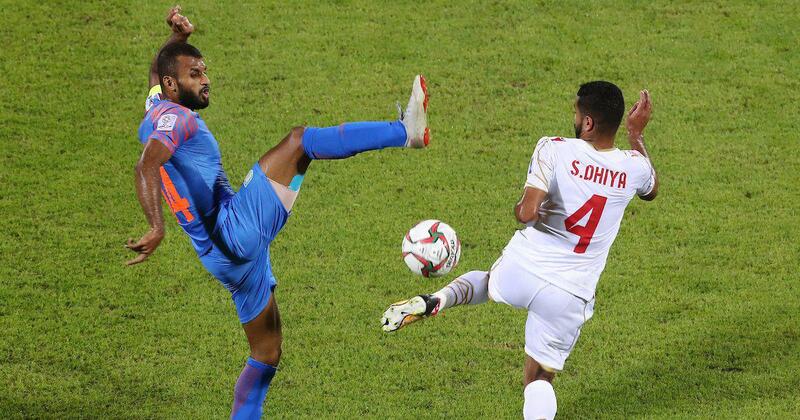 The Indian football team were eliminated from the AFC Asian Cup as Jamal Rashid scored a stoppage-time winner in Sharjah on Monday to send Bahrain through to the round of 16. The Blue Tigers needed just a point to confirm their place in the knockouts for the first time. They were in the hunt to create history till the tail end of the contest but were undone by conceding a needless penalty with the clock winding down. With UAE drawing with Thailand in the other group A game, India finished bottom of the group, which confirmed their elimination. The match got off to the worst possible start for Stephen Constantine’s men Anas Edathodika, central defender, had to limp off the field with an injury and was replaced by Salam Ranjan Singh. Sandesh Jhingan stepped up remarkably. 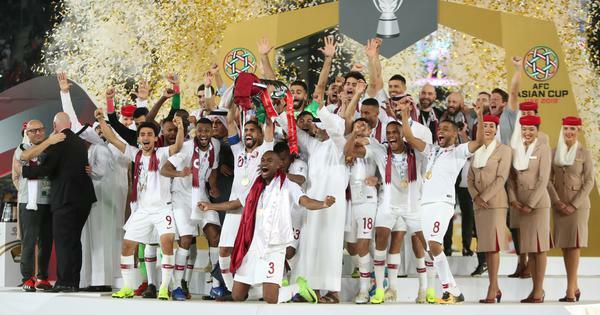 The Bahraini attackers came forward with the ball at will but all their efforts were thwarted with minimum fuss. Gurpreet Singh Sandhu’s goal was barely tested in the first half. The Indian attackers, meanwhile, couldn’t create enough chances. With the youthful energy of Anirudh Thapa missing, the counter-attacking patterns lacked bite. It could have also been a result of the blue shirts dropping too deep in their own half. Even Sunil Chhetri was spotted near the kicking circle more than wide areas that he likes. Towards the end of the half, Ahmed Juma came close to putting his side in the lead with a header from a corner at the far post. Pranoy Halder, wearing the captain’s armband on the night, headed it from the goalmouth. The second half continued in the same vein. Despite seeing much of the ball, Bahrain lacked composure in the final third. There was drama deep into the game, though, as fatigue began to catch up with Indians. Quite inexplicably, a back-pass from Subhashish Bose was collected by Gurpreet. The indirect free-kick from Rashid was deflected over the bar from the resilient Indian defence. Then, from another goal-line scramble, substitute Mohamed Mahroon clipped the post with a header from close range. Gurpreet, on that occasion, was rooted to the spot. The Indian goalie pulled off at least two outstanding saves in the dying minutes of the game, but was sent the wrong way by Rashid’s spot-kick, a strike that broke a billion hearts. Halder, who had a good game till then, was sucked into rash tackle and gave away a clear-cut penalty. India lived dangerously and their defensive approach, ultimately, cost them dear.